White chocolate is one of my favorite flavors, and I do not use it enough. Peaches are also underrated. Let’s combine the two in these fun little cups. You can use these cups for whatever you like. 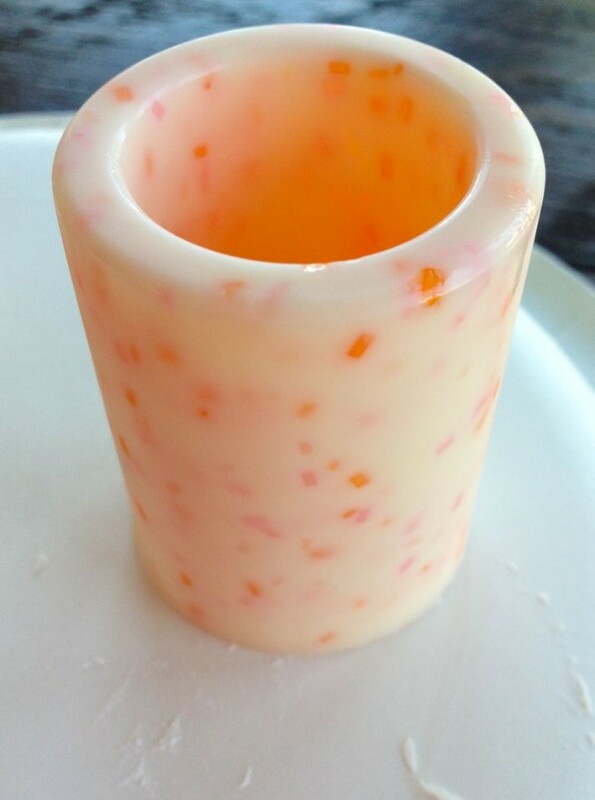 Shot glasses, little serving cups, peach milkshake cups, candy holders, or whatever you would like. They are edible cups which is fun for all. This post contains affiliate links, but all opinions are my own. Using one cup of white chocolate candy melts at a time, place in medium microwavable mixing bowl. Heat in the microwave for 60 seconds. 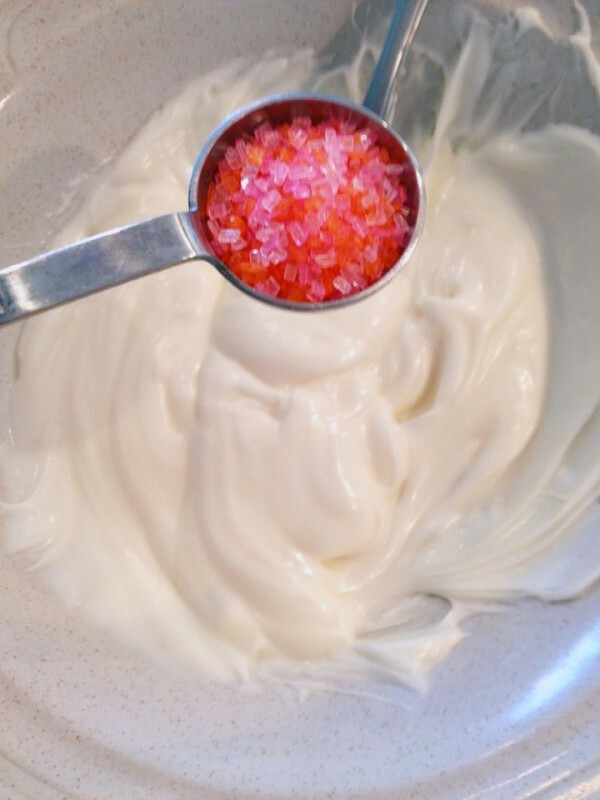 Remove and stir. Repeat in 20-second intervals, or until completely melted. Be sure not to overheat. Remove from microwave and stir until chocolate is completely smooth and silky. Tap mold against counter top to ensure all air bubbles have been eliminated. Lift mold above your head to check for air bubbles. If there are none, you may proceed to the next step. Otherwise, repeat tapping. You may also stick a butter knife into each mold to help eliminate hidden air bubbles. 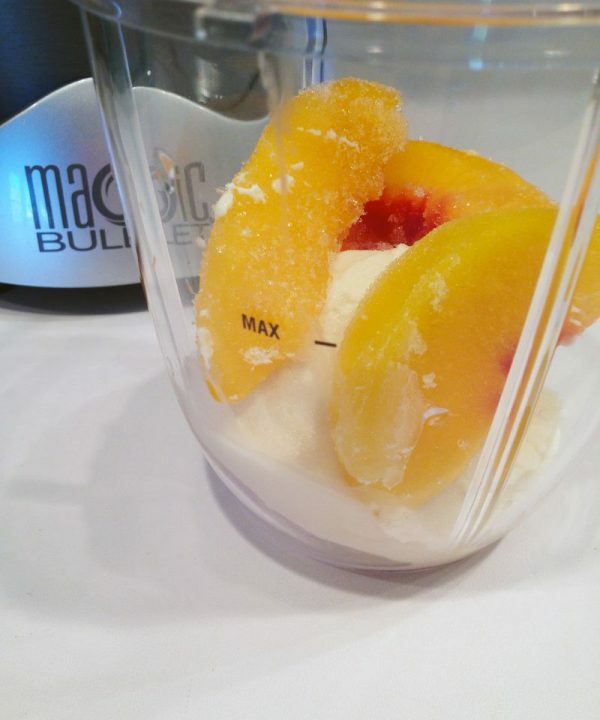 Add sliced peaches and vanilla ice cream to a blender (I recommend the NutriBullet). Blend on high for approximately 60 to 90 seconds, or until you reach your desired milkshake consistency. What would you put in these white chocolate cups? Yum yum ! I love white chocolate so much compared to milk chocolate. I have to give this a try. Pinning this. Thank you for sharing it with us @ #HomeMattersParty . We would love to have you again next week. Looks delish! Thanks so much for sharing at The Living With Style Linky Party! Have a great day. Hey, Jen! Just wanted to let you know that we loved your Kids Reading Nook so much when you shared it at the #HomeMattersParty last week, we’ve HIGHLIGHTED it THIS WEEK! Hope you can check it out when you get a sec! Happy Friday!!! Wow!!! 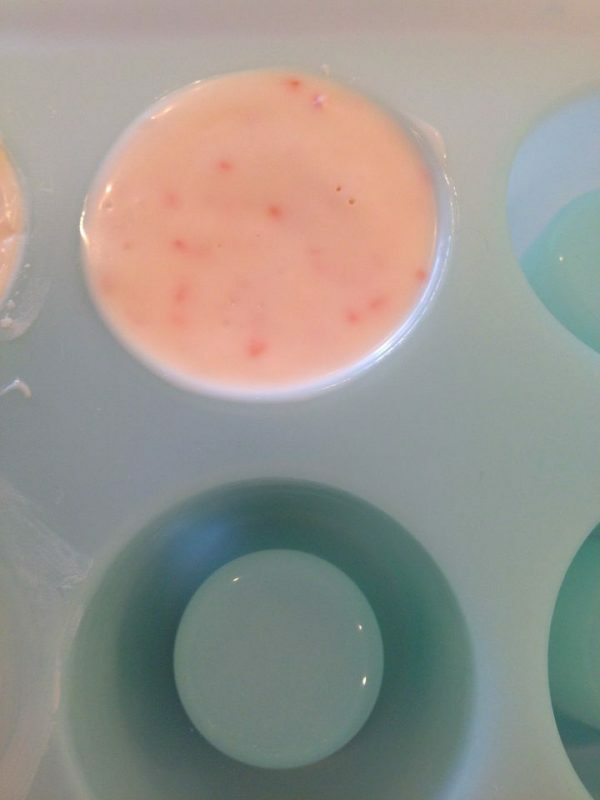 Love, Love, Love this Peach Milkshake in White Chocolate Shot Cups Recipe!!! 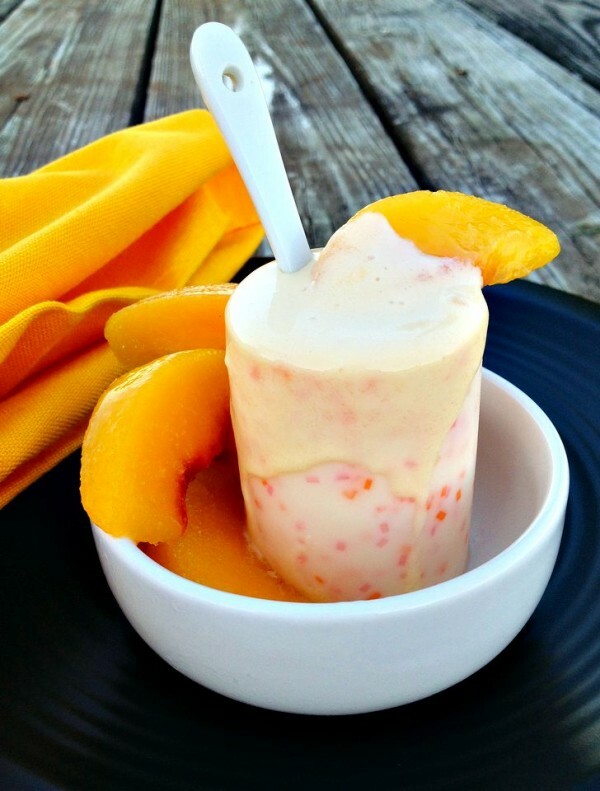 The white chocolate shot cups are so cool and peaches are my favorite fruit! My whole family would Love this and they would be so impressed if I made this! Thank you for sharing!